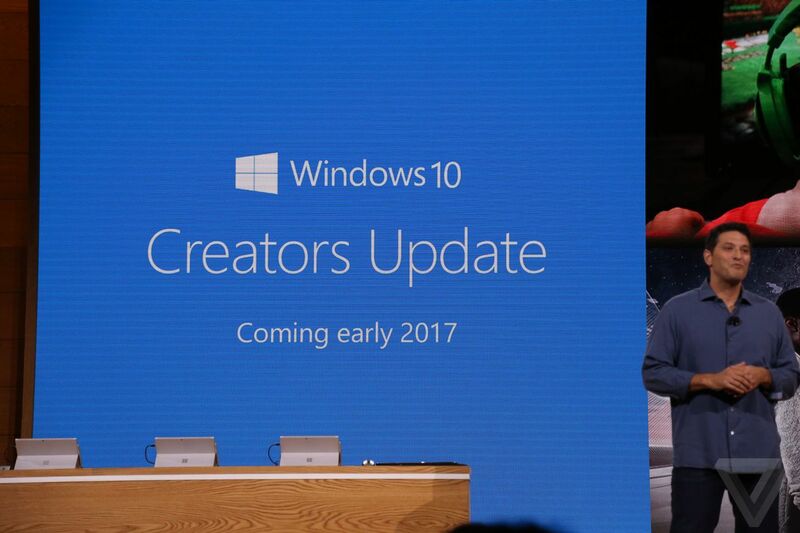 Microsoft is prepping for a gradual, multi-stage rollout of the Windows 10 Creators Update starting on April 11th. But if you're eager to get your hands on it a bit early, you can manually download it on April 5th. The company said in a blog post today that it will make the Creators Update available through its Update Assistant so anyone who is using a licensed version of Windows 10 can install it one week ahead of the official rollout. You can, of course, already do so if you're willing to download and mount an ISO file off Microsoft's servers. Windows forum users were able to locate files for Windows 10 build 15063, which is generally considered to be the Release to Manufacturing (RTM) build number for the finished Creators Update. Head here to download that, so long as you're a member of the Windows Insider Program. For everyone else, the Creators Update is being pushed out on April 11th, first to newer PCs and onward to other devices over the course of a few months. Windows Phone users will have to wait until April 25th for Microsoft to start rolling out the update. Microsoft is making an effort to ensure the update process allows for more customization options on the user end. "These include the ability to specify a time that is convenient for you, pause updates for a week, and expand the 'active hours' time window during which you don't want to be disturbed by an update," writes John Cable, the company's director of program management, in today's blog post. "If you're running a Windows 10 PC at work, check with your IT administrator for details regarding your organization's rollout plans." The update is mainly focused on smaller, more art- and entertainment-focused features like a new settings optimization feature called Game Mode for Windows 10 PCs and a new 3D Paint app expected to integrate with Windows Mixed Reality-enabled headsets down the line. Check out a more detailed feature list here.